Iran rejects Ambassador Danon's report showing the Revolutionary Guards used commercial airline flights to ship weapons to Hezbollah. 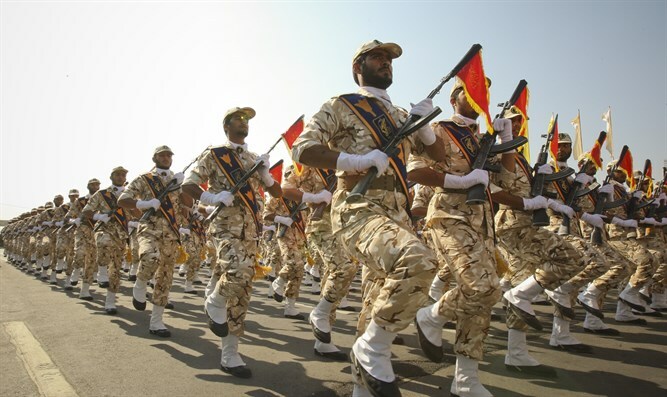 Iran on Wednesday rejected an Israeli report saying that the Islamic Revolutionary Guard Corps (IRGC) used commercial airline flights to ship weapons to the Hezbollah terrorist group. Israel’s Ambassador to the UN, Danny Danon, on Tuesday revealed newly released intelligence to the Security Council which shows that Iran is using civilian flights to Lebanon to send arms and ammunition to Hezbollah. “Iran is using airlines such as ‘Mahan Air’, to supply Hezbollah with the capacity to enhance its missile arsenal. The arms and related materials are packed in suitcases by the Quds Force in Iran and transferred directly to Hezbollah operatives,” wrote Danon. He added that the arms are either flown by “commercial flights to Beirut,” or flown to “Damascus and then transferred by land,” to Hezbollah. Iran, however, rejected Danon’s report as baseless and unsubstantiated, reports the Reuters news agency. "The letter, once again, contains a flurry of baseless and unsubstantiated accusations that are leveled against my country without, as usual, a shred of evidence," Iran's Deputy UN Ambassador Gholamhossein Dehghani wrote to the Security Council. He rejected Israel's accusation that Iran has violated UN Security Council resolutions, describing the claims in Danon's letter as "absurd and hypocritical." Iran continuously threatens Israel, as was shown just this week, when a senior Iranian military commander predicted that the Palestinian Arabs would “get rid of Israel” in the next 10 years. Iran’s Supreme Leader, Ayatollah Ali Khamenei, has referred to Israel as a “cancer” and in the past threatened to "annihilate" the Israeli cities of Tel Aviv and Haifa. In May, a senior Iranian military commander threatened Israel and claimed that his country can destroy the Jewish state “in less than eight minutes”.